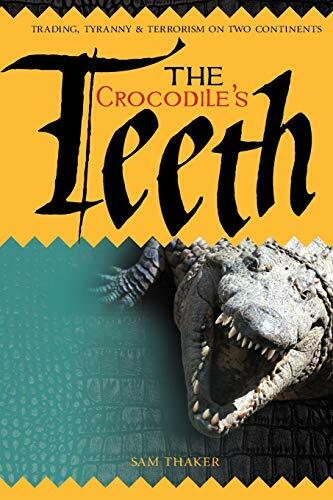 The evil thugs of Idi Amin's Uganda and the fanatical bombers and machine-gun-toting terrorists of Mumbai make The Crocodile&#x2019;s Teeth a gripping tale of one man's survival and resourcefulness set against a background of tyranny, terror and hardship on two continents. Sam Thaker was born to Indian immigrant parents in Uganda in the days when it was one of the most beautiful, fertile and contented countries in the world. Then Idi Amin swept to power, and under his tyranny Sam&#x2019;s paradise became a hell on Earth. Having been forced by Amin&#x2019;s thugs to give up their home, Sam&#x2019;s thriving airline cargo business and most of their money and possessions, he and his family began a new life in England as near-penniless refugees. But Sam was a survivor. Ignoring his bank manager&#x2019;s patronising advice to open a corner shop, he decided instead to build on his experience in the cargo business to start up a London-based air freight company. Realising the immense potential of the Indian import market, he returned to the land of his fathers to build an international company which eventually opened offices in eight Indian cities. Along the way he and his wife were caught up in the wave of terrorism which struck Bombay in 1993 and again in 2008, and narrowly escaped the floods which struck the city in 2005 and drowned more than 5000 people. The Crocodile&#x2019;s Teeth is a fascinating portrait of survival and resourcefulness against a background of tyranny and terror on two continents.